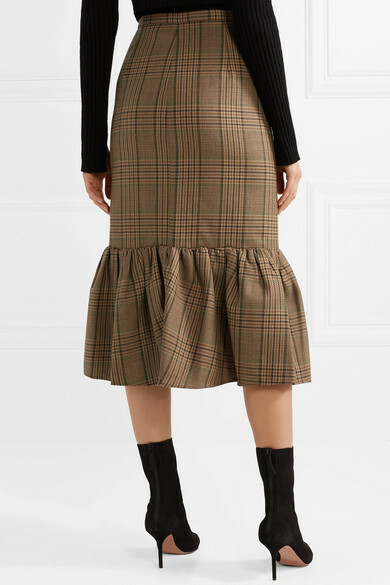 Michael Kors' Fall '18 collection is a celebration of individual style - this signature 'Rumba' skirt appeared on the runway with an argyle sweater and leopard-print accessories. 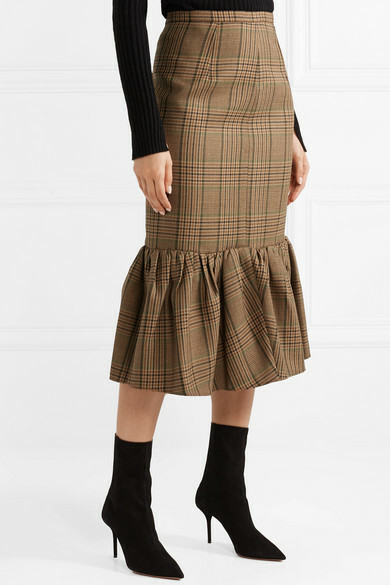 Updated for the new season in plaid wool, it's designed to sit at your waist and falls to a fluted midi hem. 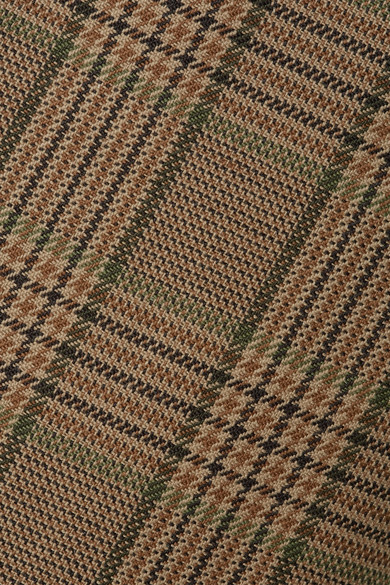 Wear it with contrasting prints or a black blazer and ankle boots. 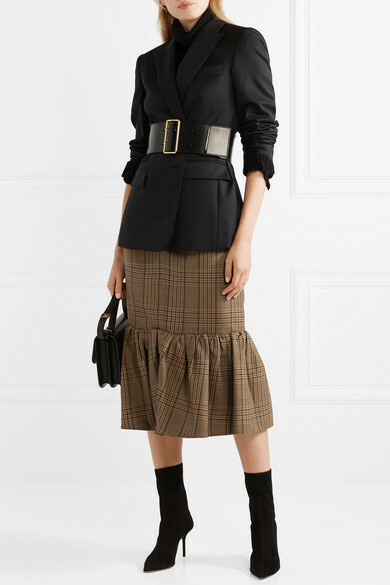 Shown here with: Stella McCartney Blazer, Nili Lotan Sweater, Victoria Beckham Shoulder bag, Aquazzura Sock boots, Alexander McQueen Waist belt.